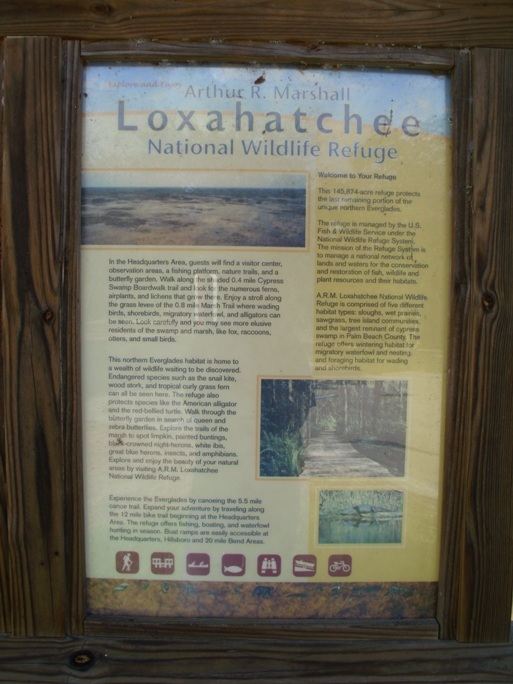 Refuge visitors can enjoy fishing, boating, hiking, and bird watching. 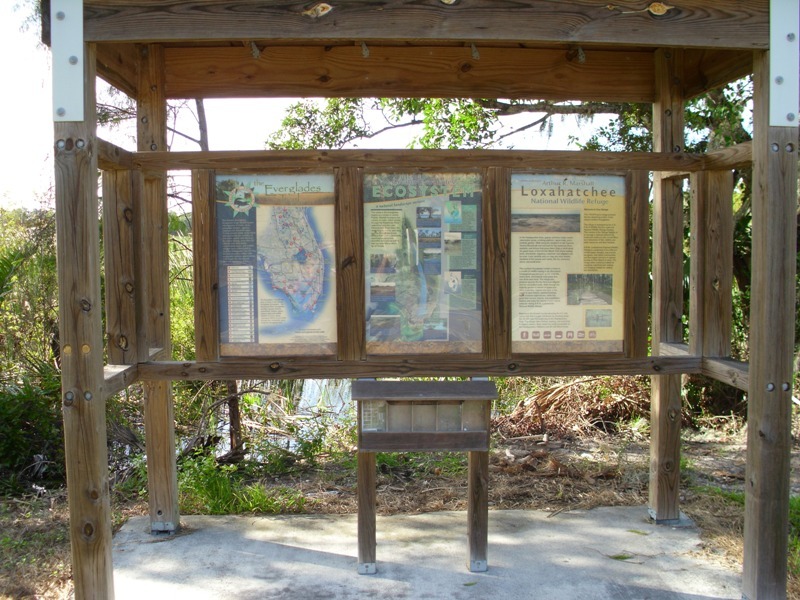 The Headquarters Area offers a visitor center, observation tower, fishing platform, canoe trail, and nature trails. Boat ramps are available at Headquarters Area, Hillsboro Recreation Area, and at 20-Mile Bend. Unfortunately, I arrived just 15 minutes after the visitor center had closed for the day, which is supposed to be very nice. 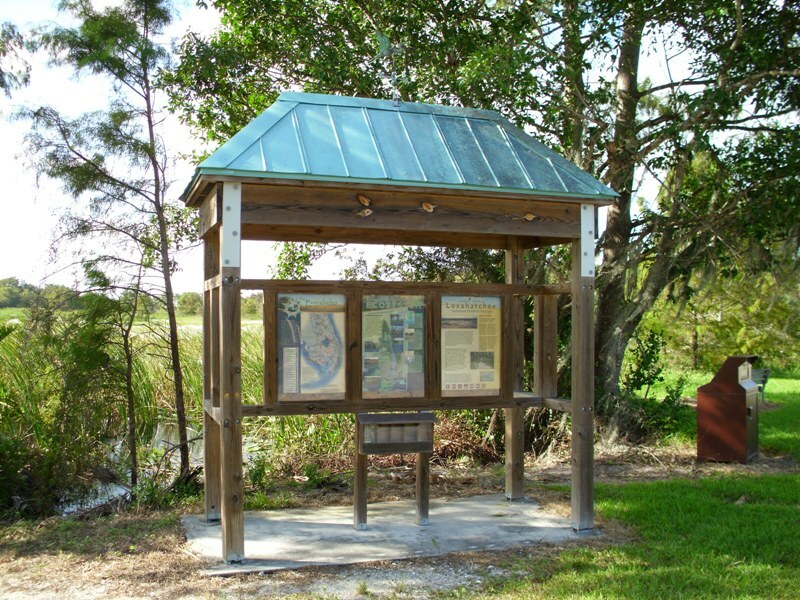 That is not where the kiosk is, but I found it about a quarter mile away in the parking area of the marsh trail. The kiosk was in need of cleaning, and there were only two brochures for the preserve remaining, which I left for other people to use.